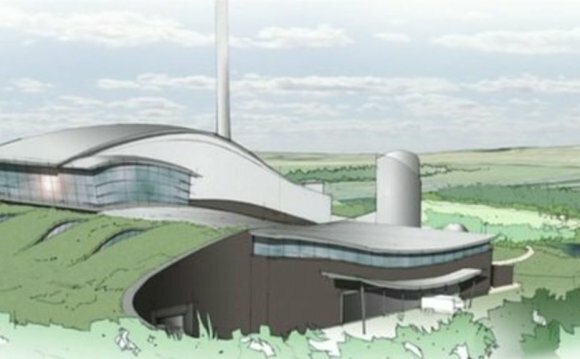 Plans for a £1.4bn waste incinerator have been approved by North Yorkshire County Council. The vote was passed by 38 to 17 despite strong public opposition to the plans and the loss of £65m of government funding. AmeyCespa say it hopes to have the plant operational by 2015. Conservative councillor Chris Metcalfe, executive member for waste disposal, said: "I'm delighted with the decision. It's been a very long journey. "I do appreciate some of the concerns that have been raised by members of the public and, yes, they're right, 25 years is a long time and, yes, there is an element of risk, but we've assessed those risks and we believe this is in the best interests of the residents of North Yorkshire." The incinerator, which was granted planning permission in 2012, will deal with up to 320, 000 tonnes of rubbish a year from households in North Yorkshire and York. It will also provide heat to heat more than 40, 000 homes. Bob Schofield, from North Yorkshire Waste Action Group - which opposed the plan, said: "We really do believe it's a black day for the council tax payers of North Yorkshire. "The future generations will be saddled with paying for this thing and they will look back on it and think 'How on Earth did they come to that decision? '".